SSWC providers are committed to patient education. This website is a testament to that, but beyond the written word, we strive to verbally keep our patients informed of their options and encourage them to seek other sources of information on a topic if they wish. We have numerous pamphlets on a wide variety of women's health issues and will be happy to provide you with educational material pertinent to your particular situation. If you are an internet surfer, there are two sites we recommend for reliable information on topics concerning women's healthcare. The ACOG site has brochures available for viewing. 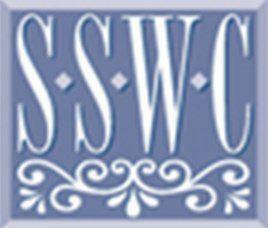 SSWC offers classes in Prepared Childbirth, Lactation and Newborn Care. For information on substance use in pregnancy, please click here. For information on vaccinations during pregnancy, please click here. If you are Rh negative and want more information about how we protect you from becoming sensitized to an Rh positive baby, please click here. For information about the blood test that screens for Open Spine Defects, Down's Syndrome and a Chromosomal Defect known as Trisomy 18, please click here. For information about how we screen for Diabetes in Pregnancy, please click here.